Discussion in 'Criminal Charges' started by Leesa, Aug 19, 2018.
when my sister went to court for TOP 4thdegree, the judge ordered her to do a drug test. She failed it and she made her do 30 days in jail, pay a fine,etc. About two months later the court sent her a letter requesting her to come in for a case review. She missed the date and a week later they came to the house and picked her up and she's in jail now. They told her she has to stay six months. This sounds messed up to me. Please help!!!!!!!!! She failed too comply with the terms set by the court and now is likely serving her full sentence as a consequence. It is never good to fail to appear in court when required. This sounds messed up to me. Please help!!!!!!!!! It all seems quite normal to me. Your pal might appreciate you throwing a few bucks on her commissary account, if you have a few dollars to spare. I'm told jail food isn't all that pleasant and the soap and toothpaste you're given is less than comforting. About two months later the court sent her a letter requesting her to come in for a case review. I doubt very much that it was a "request." Almost certainly it was an order. This sounds messed up to me. Based on what? 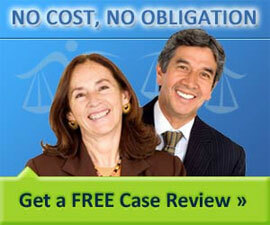 Your significant knowledge of and experience with criminal procedures? I'm not sure what sort of "help" you're seeking or think folks on an internet message board can provide. Obviously, your sister needs an attorney.